ATC can provide various types of bearings including Rolling & Radial Bearings, Deep Groove & Aligning Ball Bearings, Cylindrical & Spherical Roller Bearings, among others. The term “bearing” is derived from the verb “to bear”, a bearing being a machine element that allows one part to bear (i.e., to support) another part. A bearing is a machine element that constrains relative motion to only the desired motion, and reduces friction between moving parts. The design of may, for example, provide for free linear movement of the moving part or for free rotation around a fixed axis; or, it may prevent a motion by controlling the vectors of normal forces that bear on the moving parts. 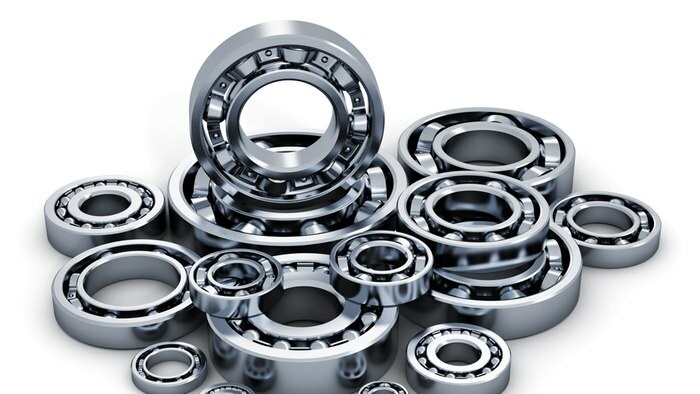 Most bearings facilitate the desired motion by minimizing friction, and are classified broadly according to the type of operation, the motions allowed, or to the directions of the loads (forces) applied to the parts. All products supplied by ATC are sourced from well-known manufacturers who provide quality assured products. This ensures that our customers will receive only the highest quality products at competitive prices. Our range of all products are suited to the following industrial sectors: Mining and Quarrying, Power Generation, Recycling and Waste, Food and Beverage, Automotive, Health and Pharmaceutical, Agriculture, Printing and Publishing, to name a few.